Cats' temperatures naturally run from 100.5 to 102.5 degrees. Your kitty runs hot naturally, so hot ears might be totally normal for her. Use context clues to figure out whether kitty feels hot from a natural heat source of if there's cause for concern. Hot ears have multiple causes, so let your vet sleuth things out. While pop culture suggests that a warm, dry nose means kitty's feeling feverish, the ears actually reveal more. If her ears feel hot to the touch, she might have a fever. Bear in mind, however, that cats naturally run two to four degrees hotter than their people, so kitty should always feel a bit warm to your touch. The only way to tell whether she has a fever is to take her temperature, using a rectal thermometer -- raise your hand if you're up for that! A temperature of 104 degrees or higher is cause for concern. Hot ears plus discharge -- or blood -- adds up to a trip to a qualified vet. Cats with hot ears that emit a discharge could have an ear infection. A bloody, hot ear could be a sign of an ear tumor or other serious problem. Your vet probably will take an ear culture to figure out the source of the problem and the best course of treatment. Different organisms can cause ear infections, and your vet will want to target the specific organism causing problems with the most effective medication. 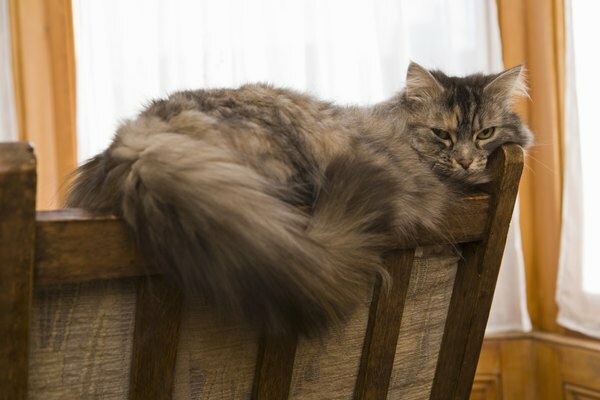 If kitty has hot ears, licks her feet a lot and is scratching herself frequently, she could be experiencing a food allergy or allergies to something in the home. Your vet can perform tests to see whether she is having an allergic reaction and what to do about it. If your sweet baby's ears are burning up, examine her for other symptoms. If she seems listless, sluggish or is acting out of character, call your vet to discuss these signs. If your cat is acting her normal self -- eating, drinking, using her box --- you might be fussing over nothing. After all, an enjoyable afternoon nap in the sun could make her ears feel hot to the touch. Cat Channel: Does Your Cat Have a Fever?